Continuous Integration (CI)/Continuous Deployment (CD) are widely used terms in the DevOps world. If you are new or don’t fully understand the buzzword DevOps, then read my article DevOps, What, Why & How. Continuous Integration (CI) and Continuous Delivery(CD) enables and empowers any software delivery team in an organization to continuously deliver value to their end users. 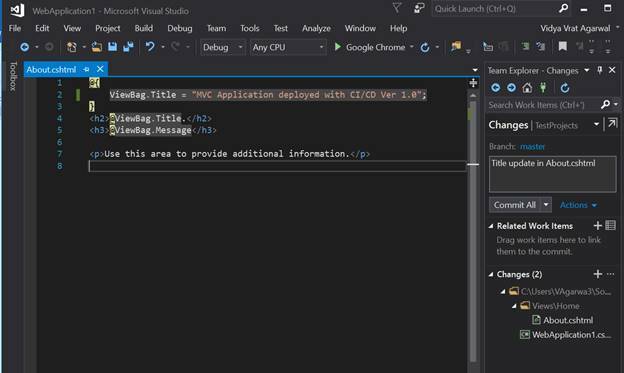 After successful Project and code setup in the Git, you will see that your VSTS account will show the code repository and a project as shown below. 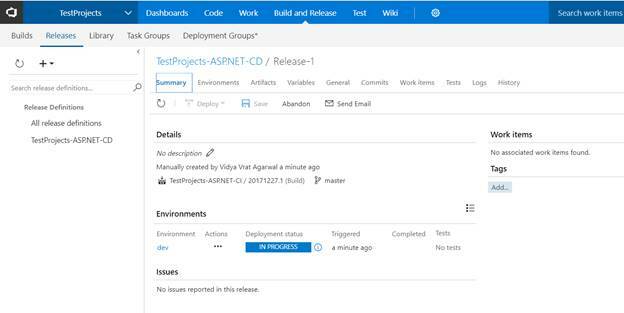 Here, repository named TestProjects has an ASP.NET MVC application named WebApplication1. Continuous Integration (CI) is when code is being built on each check-in and that can be deployed to an environment. To setup this process, navigate to the build definition (click on Edit) and open the “Triggers” tab. By default, continuous integration is Disabled as shown in the image below. 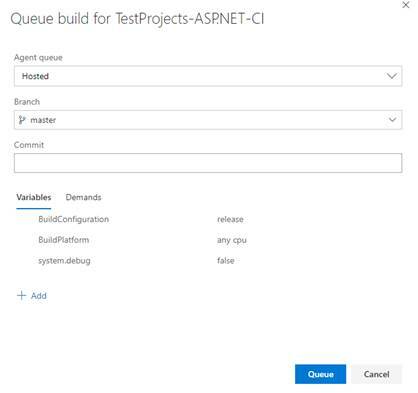 Click on “Enable continuous integration” to enable the CI for TestProjetcs and it will include master branch as default setting. 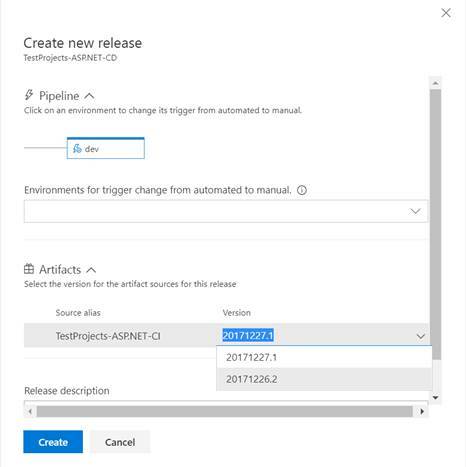 A “New Release Definition” will be created with the template for release as shown in the image below. 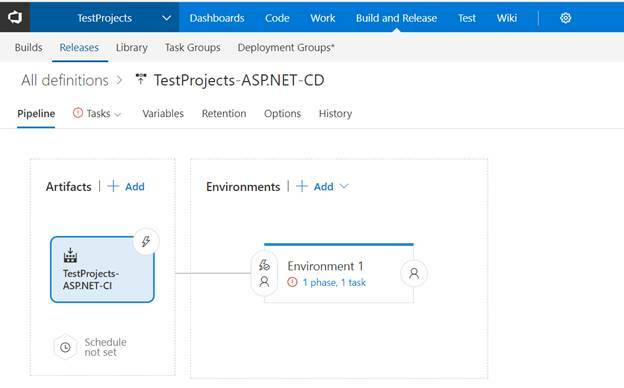 Change the name of the release to “TestProjects-ASP.NET-CD”, then click on Artifacts and select TestProjects-ASP.NET-CI. 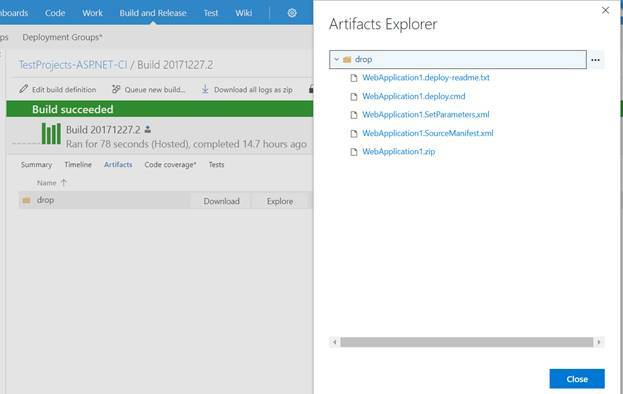 Because CI build artifacts will be deployed using Release dominion as CD process. 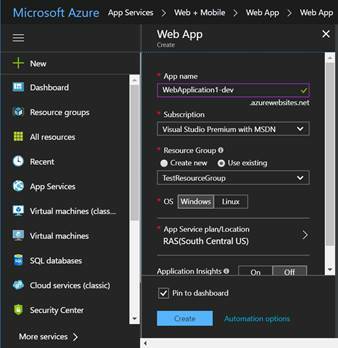 After a Release definition has been setup, it’s time to deploy the CI build using the created release, this can be easily achieved by clicking on “Create release” link on the top-right corner. 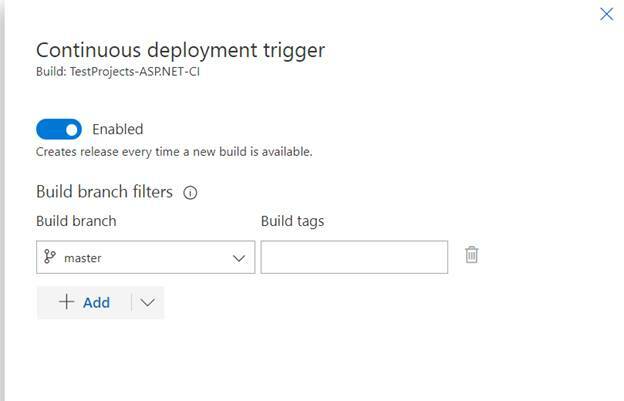 In the Release definition click on Artifacts trigger icon (lightening symbol) and enable the continuous deployment trigger and select the branch. 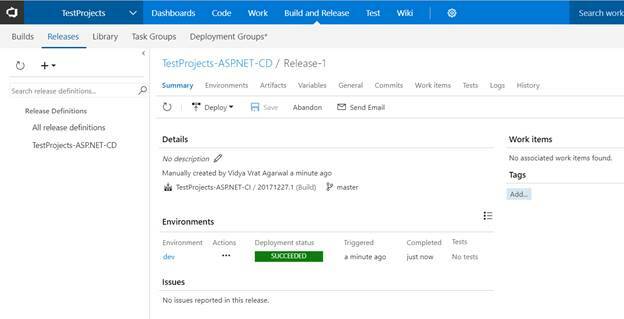 Successful CI build will then kick-off the Release for CD to dev environment. Upon successful execution of Release the website will be deployed as shown below (see updated message on about page). CI/CD is the most widely used term in industry today and helps in delivering continuous value delivery to the end users. 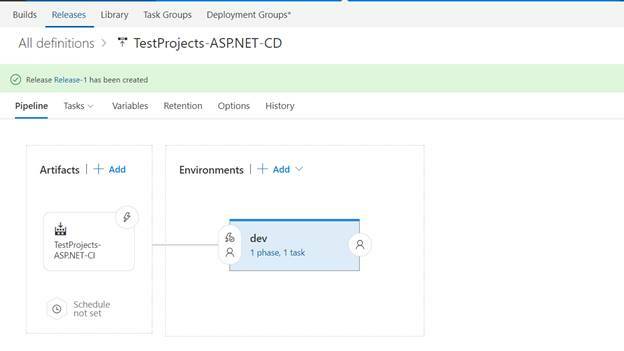 VSTS and Azure offers a lot of great and powerful features to build CI/CD pipeline. This article has shown the process of building CI/CD pipeline from scratch and how to enable various triggers for CI/CD automation during this process.